Tobi Merk is a Supermodeler from Germany whose models of Nördlingen are second to none. 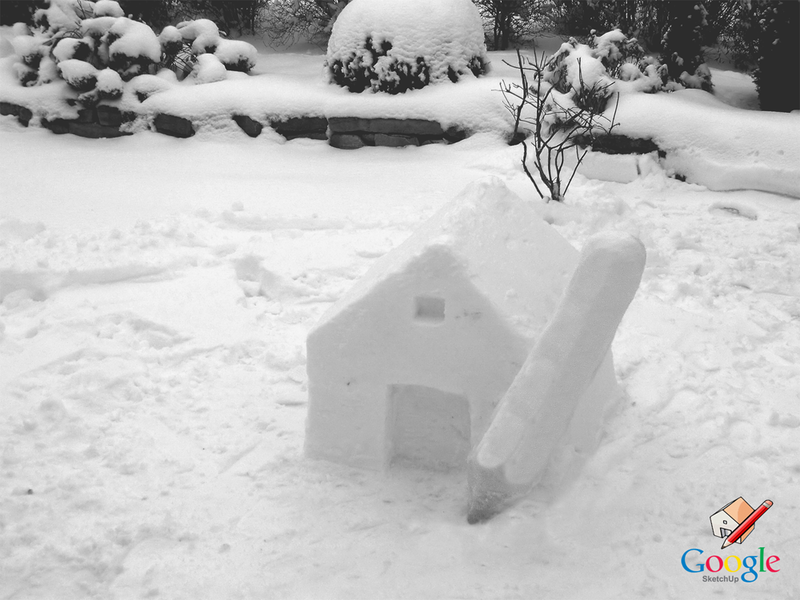 He's also an accomplished snow sculptor – I find myself especially drawn to his subject matter. A stunning rendition, Herr Merk. If you have 10 minutes, you can even watch the magic in process. Great video. I like the cat as well. Looks like it was trying to help. That is a lot of effort for a SketchUp plug. Lovely cat! Great work and nice idea! very cool! love the cat!